The Australian universal public health insurance scheme, Medicare, provides free or subsidised services in hospitals, medical centres and pharmacies for clinically necessary goods and procedures. All permanent residents and citizens living in Australia are eligible to apply for Medicare. Australia also has a private health insurance rebate scheme to encourage Australians to get insured for additional services such as dental, optical, physiotherapy and other forms of therapy. Eligibility for the rebate is means tested and dependant on your policy. Australia has strong workplace protections with National Employment Standards that apply to all permanent employees in Australia. The national minimum wage is high on the world scale, currently sitting at AUD 18.29 per hour (before tax). Government stipulated ‘awards’ also set out the standard terms and conditions of employment, including the regulation of hours, breaks and other work arrangements in different industries. Australian workers also benefit from ‘Superannuation’ – a scheme that obliges employers to make compulsory contributions of 9.5% of your wage to a personal retirement account. The compounded funds will then be released in a regular stream of payments once you retire. The OECD listed Australia as above the world education standard, with over 85% of Australians completing a secondary education qualification. Schooling lasts for 13 years, and there are a mix of public, private and Catholic-based schools in every state. 45% of Australians also complete a tertiary qualification at vocational training centres or universities. The QS World Rankings listed five Australian universities in the top 50 institutions in the world. Australia is also the third most popular country for international students to complete their studies. Centrelink is Australia’s social welfare system and provides payments and services to people going through major times of change. 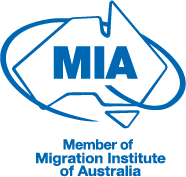 Centrelink is available to Australian residents, which can cover temporary visa holders in some circumstances. Most significantly, South Africans choose to live in Australia because it is a safe country. The rate of violent crimes in South Africa is 30 times higher than Australia. Australia’s low crime rate is credited to its stable political situation and significant freedom of expression. Due to this, Australia is recognised as one of the safest countries in the world and is ranked 12 on the Global Peace Index. If you are looking to leave South Africa and want to learn more about Australia as your potential destination, contact Pathway Lawyers & Migration Agents now for timely and cost-effective advice. Newer PostWhat’s the difference between an onshore and an offshore visa application? Older PostCan I Buy Australian Property on a Visa?